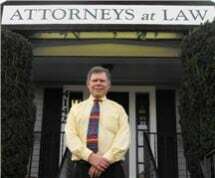 Judson C. Gray has been practicing law in the Puget Sound area since 1985. Judson C. Gray Attorney at Law, PLLC is a Limited Liability Company, dedicated to providing quality legal services to small business clients and families from Everett to Olympia, and everywhere in between. My clients are engaged in variety of industries, which include construction, real estate, property management, landlord/tenant issues, guardianships, restaurants, and other small family businesses. My firm handles business and corporate issues, and is also able to handle the litigation needs of my clients. My primary focus is to provide my clients with economical, expeditious, and professional legal services with an emphasis on navigating the legal system's minefield in order to produce an excellent result. My office is located in Tacoma, at 4142-6th Avenue. I am minutes away from the Pierce County courthouse, the U.S. Bankruptcy Court. I am a short 30-40 minute drive from the Thurston County Courthouse, the Kitsap County Courthouse, and the King County Courthouse. Because of the advancements in word processing and computer systems, I am able to provide the up most quality in legal services with optimum efficiency.